“We are afraid. In the last few days they have shot at the gate outside the house where we were living. 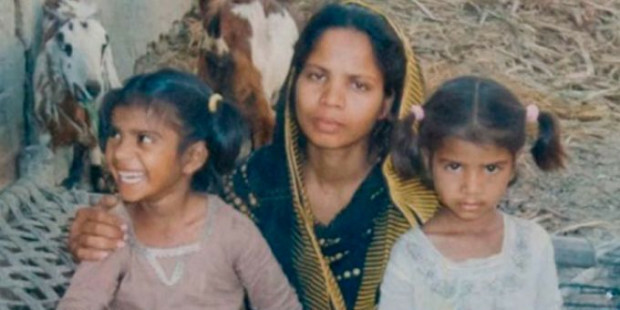 We face constant threats, and more than once I have been followed.” Such is the frightening situation being endured by the daughters of Asia Bibi, as reported to ACN by Joseph Nadeem, the man who has been sheltering her family ever since this Christian woman was sentenced to death for blasphemy. Given that Asia and her husband are practically illiterate, it is Nadeem who has been helping them with legal support and accompanying her husband Asihiq and younger daughter Eisham in their travels abroad, giving testimony of their experiences. Today Joseph Nadeem and his family are themselves in danger and living in hiding together with the daughters of Asia Bibi. “Just as soon as Asia was acquitted, we were forced to flee”, he recalls. “Asia and her husband are currently in a place of safety, protected by the government, but we could not remain with them”, he explains. Ever since then Joseph Nadeem and his family, together with the two daughters of Asia, have had to keep on the move, changing homes four times so far. “The Islamists keep hunting us down, and every time we find we are in danger, we have to move on immediately. We cannot go out openly to buy food. I only ever go out by night and with my face covered”, Joseph Nadeem tells ACN. Hauntingly Beautiful - Just before the Fire - Last Hymn Sung in Notre Dame Cathedral, Paris - "Stabat Mater"